Banners with rotating arms will have a horizontal sleeve closed on the end away from the pole (fly edge) and vertical sleeve for the pole. 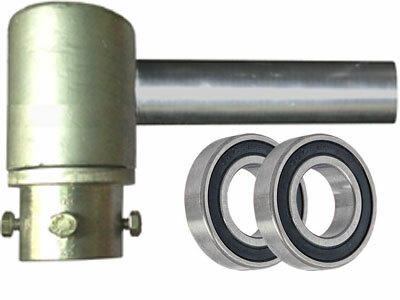 On the bottom part of the banner header, a grommet or rope is placed to attach beads or weighted hardware. 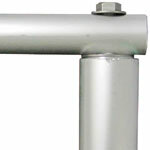 Aluminum arms are reinforced with stainless steel parts for long wear. The sleeve for the horizontal arm attaches to the rotating bushing. This prevents the banner from slipping off the arm and allows the banner to rotate with the wind.